Nourish your body with a Formula 1 Meal Replacement shake in no time! Not only are these shakes easy to make, they’re also delicious. Now with 21 vitamins and minerals, plus essential nutrients – and in a variety of flavours – weight management never tasted so good! 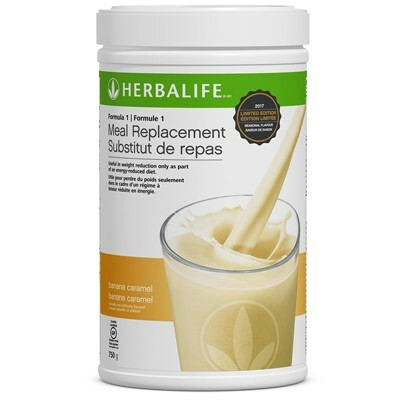 Formula 1 Meal Replacement includes protein, fibre and essential nutrients, and it’s scientifically formulated to give you the nutrition of a meal – satisfying hunger and taste buds – for effective weight management. Blend or stir 2 scoops (25 g) of Formula 1 with 375 ml (12 fl. oz.) of 1% partially skimmed milk or enriched soy milk and enjoy!